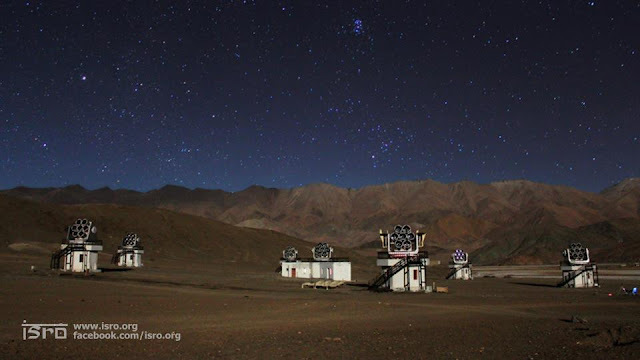 High Altitude Gamma Ray Telescope, HAGAR is an Atmospheric Cerenkov experiment with 7 telescopes, each with 7 mirrors of total area of 4.4 square meters, the total light gathering area of 7 telescopes is thus 31 square meters. The telescopes are deployed on the periphery of a circle of radius 50 meters with one telescope at the center. Each telescope has alt azimuth mounting. Each of the 7 mirrors in each telescope is looked at by a UV sensitive PhotoMultiplier Tube.